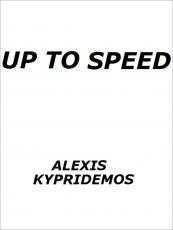 "Up to Speed" is part of "Fiction Fix," a collection of 46 short, funny stories, plus 196 bonus micro fiction budget stories, available at www.fiction-fix.com. © Copyright 2019 Alexis Kypridemos. All rights reserved.